As you know, I couldn’t wait to post Clark’s 14″ HORSE CONCH (and the video) he found on Saturday. That’ll go down in the ol’ memory vault. What a find! WooHoo! Oh, What’s that you said? You want to see the pictures of the HORSE CONCH all cleaned up? Oh alright, if you insist….. Pretty, huh? Clark soaked it in a weak bleach solution for a couple of days to get the barnacles softened up to be able to pop them off. It worked! All I had to do it run a metal dental pick over all the crud and it all came right off. I love the little curve of the tail (anterior) of “him”. I know you are thinking it still doesn’t look all that clean but for some reason I like the brown parts just like they are. I don’t like it to be scrubbed off so that’s why Clark didn’t put too much bleach with the water for soaking. After time, all of that brown part will flake off so at least I will enjoy it until nature takes it’s course. Here’s a photo taken on the beach with the rest of our finds. We didn’t find a huge quantity of shells but the quality was fab-ul-o-so. Here’s a better look at the LIGHTNING WHELK Clark found too. Okay, he found the SUNRAY VENUS, KINGS CROWNS and the WHELKS but I found the SAND DOLLARS. I was on a mission to find those SAND DOLLARS so that’s all I was focused on (it’s sounding like an excuse, isn’t it?). Oh wait! I did find some other cuties too…. WORMIES! And a BABY’S EAR. Clark was in a zone, man, he found this WHITE ROSE PETAL TELLIN too. Geez. Wow! How exciting and what beautiful pics! My husband and I had a great time at Sanibel over the weekend but I didn’t find any fabulous shells like those! Next time, we will take one of the shelling cruises to Cayo Costa! I’m sure Clark is still on that high after finding that one. You and Clark sharing your finds and life on Sanibel make us all feel like we’re right there with you enjoying every find and beach day. Thanks so much for letting us in. But the man really does have an “eye” for the good stuff that the rest of us are lucky to ever find. I love that shell…way to go Clark. I’m like you I like the brown on it too. I just got out my tape measurer…whewwhee that is huge!! That whelk is gorgeous too. Love the shot of the birds …. I can hear the ocean now….sigh. Thanks, Pam. Always like to know how to clean the shells, the process, I mean. That sure is a mighty find Horse Conch! I agree the brown give it some character. And the wormies are awesome, as is the Baby’s Ear. Sometimes great things come in small packages, yes? I just enjoy the adventures of Pam and Clark so much…you two are a hoot! Your photos just put me into a “Zen” state of mind. I just love the colors of the sky and the water this time of year. Sometime Rick and I will have to venture to Sanibel in the Spring/Summer instead of December! Love to you all. SHELL AWAY, I SAY! Beautiful shells!!! I really like the wormshells with the sprial ends on them. Clark’s shell really cleaned up well — love it! Just another day in Paradise, right? Nice wormies! Clark’s shell looks good, too. My hubby usually finds the big, manly shells, and I find the more delicate one’s. Are you guys like that? I live in the Midwest and have sadly, only been to the ocean once and the Gulf once but a dear friend of mine from Florida found your site for me. I am SO thrilled to be able to see all the different types of shells and finally have a name for what I have gathered. Love your videos!!! Pam – do you like N Cap or Cayo better for shelling? Very beautiful! I love the curled the curled tail too! I love the brown part (periostracum) too. I wish it would stay! I found a beautiful hairy triton in the bahamas and I wish I could have kept it “hairy” although it never came off, it is lighter and not hairy. I also love to use dental pics to do my shell cleaning!! Congrats to Clark on his fabulous find. I would love to find a beauty like that. Guess I’ll just have to come back down!! Thanks for sharing this :) I LOVE this web page. It holds me over till next year :) Happy Shelling ! This is a hard one! We normally check out both while we are up there because, as you know, the beach changes. So I’m not sure if I can answer that because both are fabulous….. on different days. It’s almost like if one is booming with shells, they other isnt and vice versa. It’s just like Blind Pass and the lighthouse- I couldnt say consistantly that I like one over the other. Pam….Myself and others are always amazed at your “daily catch”! One thing all of us always wonder is what type of camera (make/model) do you use to capture such beautiful pics and videos. The huge horse is wonderful! So beautiful! Awesome finds. My inlaws are going to be in the Ft. Myers area for next winter, so we are visiting and we are coming to Sanibel. Can’t wait. Thank you Mo! It’s only a point ‘n shoot type camera. I wish I had a big camera with a nice lens especially to take picture of my shells when I get home but I dont…. this is what I have- a Panasonic DMC-ZS6. I got it at Costco. I have found at least 12 of thses and my favorite is the one with nothing on it but I do have one brown one that is special. Hor can I send photos? We’d love to see a picture! 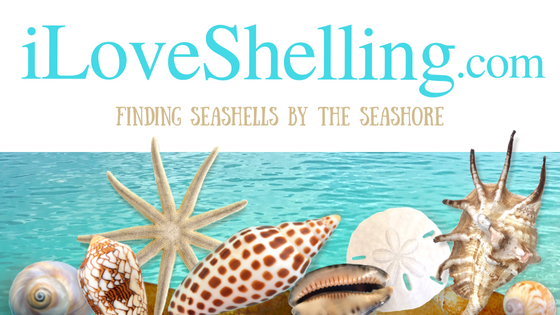 You can post pictures to the i Love Shelling facebook page at https://www.facebook.com/iLoveShelling . If you’d like to post several photos you can make an album on your profile page then post the whole album on the iLS page or any other page too. Then we can see them all at once. Great find! I have never seen the outside lip (apex) of a horse conch that pronounced. Also the bottom of the columella is like no other that I have ever seen before.The regrowth is unusual. You should have Jose look at that. The find is surperb. The growth patterns are very intresting. Clarks horse conch is the most unique horse conch I have ever seen. Compare it to others you have big or small the shape and growth are extremely different. kindly tell me again where the big horse conch and the other great latest shells where found???? Thank you so much for creating this website! The blog has been most helpful and quite interesting. I printed off the shell ID pages, so when I fly down tomorrow for the week, I don’t have to haul around my heavy books. Happy shelling! That is one beautiful specimen of a Horse Conch! Nice wormies too Pam, I need to get out and replenish my supply of those, love them!